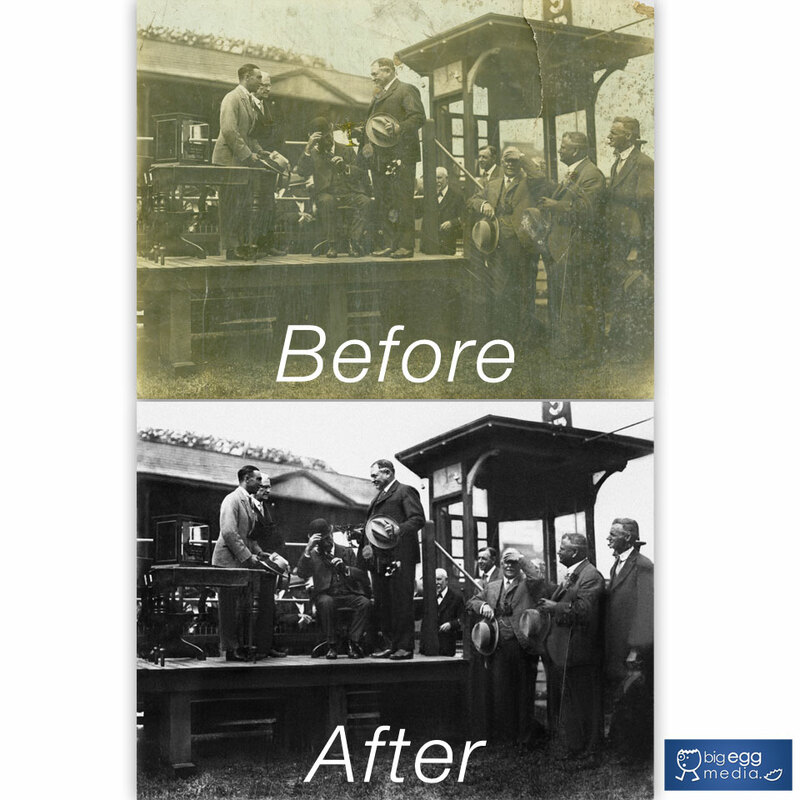 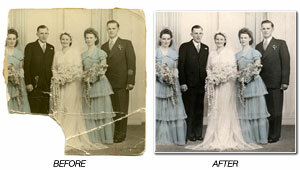 Photo Restoration is the process of digitally correcting and repairing a photo back to it's former glory. 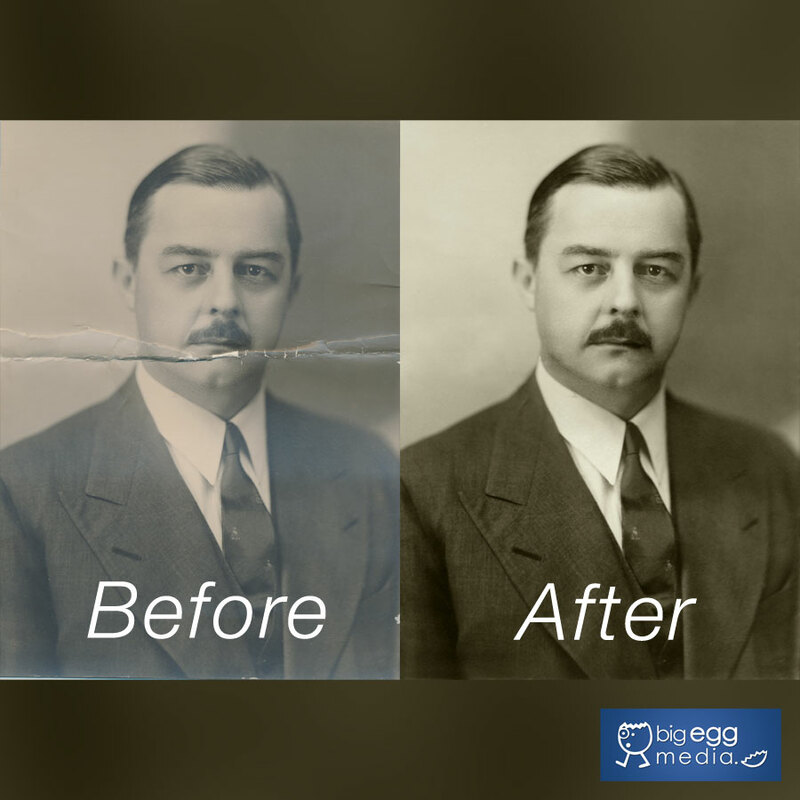 Big Egg Media can restore and fix up photos that have been damaged, stained, scratched, torn, ripped, folded or are faded from exposure to sun light. 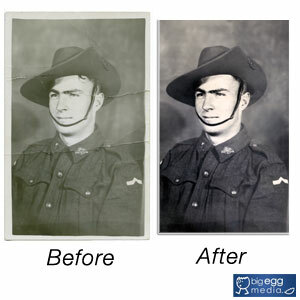 All our scanning is done in-house in our Adelaide store. 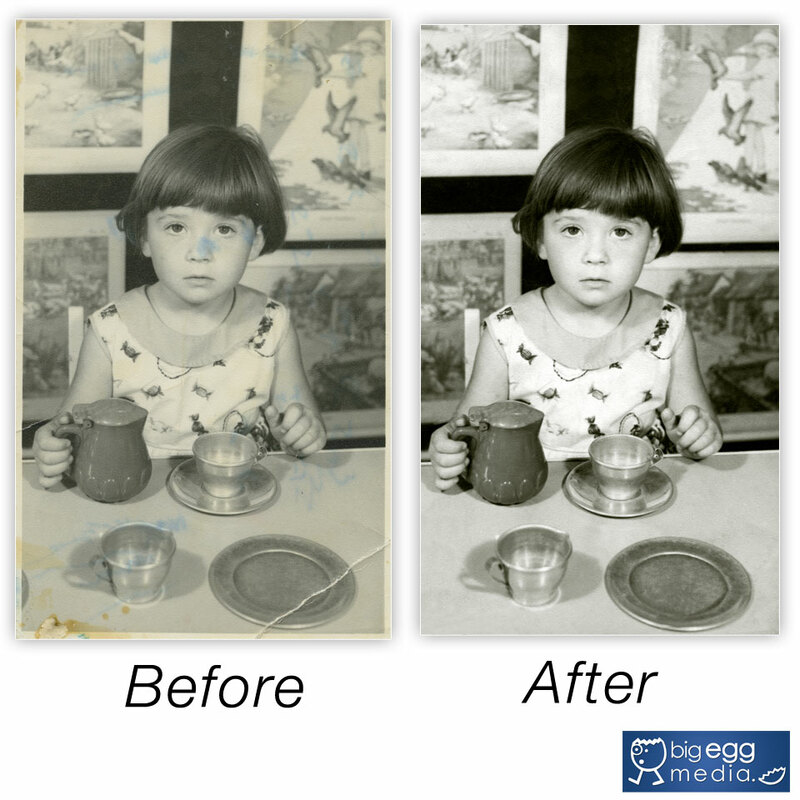 Our advanced photo restoration starts at $10 per image, and our professional in-house scanning process ensures your photos & slides are handled safely and carefully at all times. 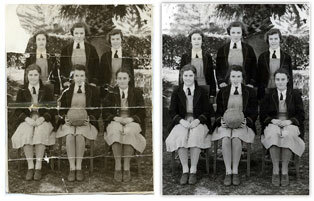 Don't let your photos deteriorate any further, contact us now. 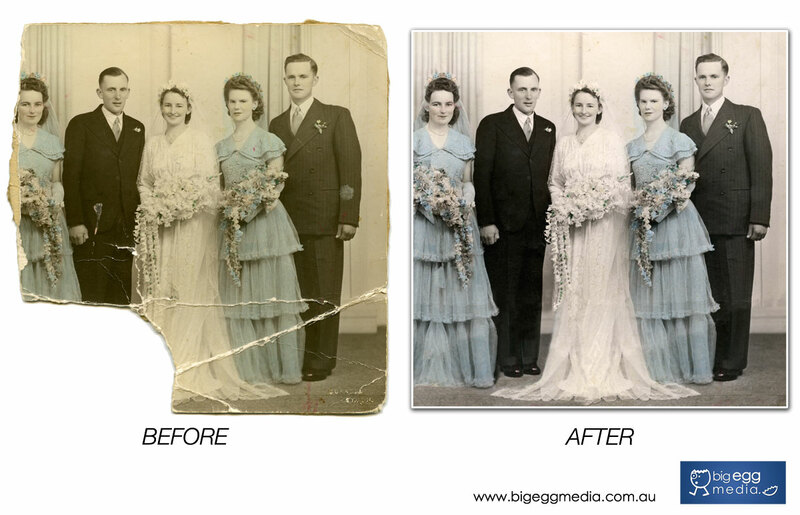 A digital restoration and backup is a great solution to ensure your precious memories are kept safe for the future. Visit our store on Payneham Road in Adelaide with your damaged photos for us to give you a restoration estimate. 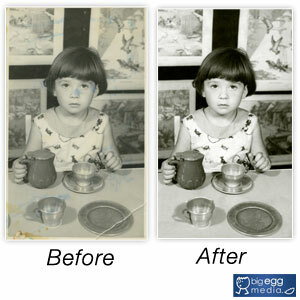 We typically charge between $10 - $40 to restore or retouch each photo or slide, plus any scanning costs. 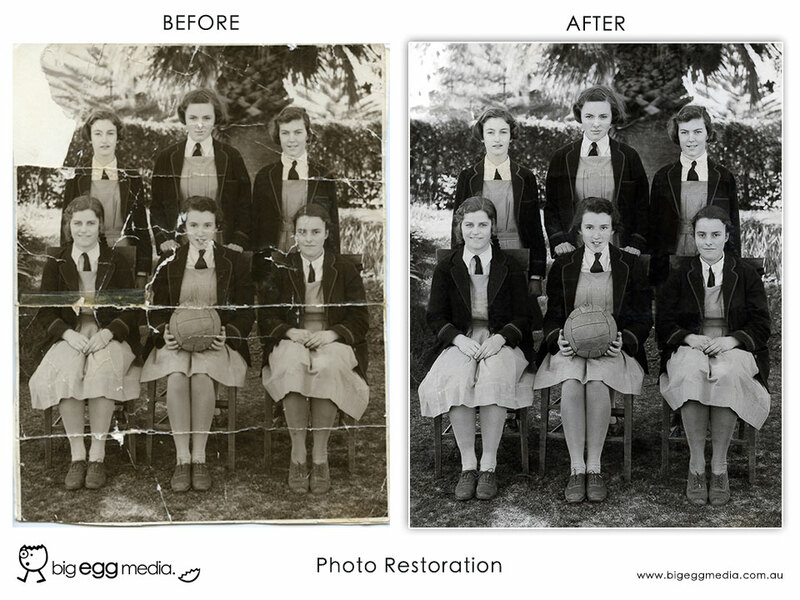 Big Egg Media is a professional multimedia company based in Adelaide, South Australia, servicing all cities and states via Australia Post and courier including Melbourne, Sydney, Brisbane, Canberra, Perth, Darwin and Hobart. 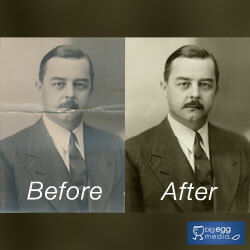 We do slide scanning to JPG file, converting 35mm slides to JPG, photo restoration, photo retouching, DVD video photo slideshows and professional photo and negative scanning.